When a young boy identified only as Roman couldn’t wake up his unconscious mother, he did what any astute, technologically-adept four-year-old would do: He used his mother’s finger to unlock her phone, and then asked Siri to call emergency services. The boy’s actions saved his mother, but the incident exposes some dark and dangerous flaws in our increasingly landline-less world. As reported in the BBC, Roman, who lives in the south London neighborhood of Kenley, saved his mother’s life by using her thumb to unlock her iPhone, and then asked Siri to call 999 (the British equivalent of 911). An operator dispatched paramedics and police after the boy explained that his mother was “dead” and that “she’s closing her eyes and she’s not breathing.” The mother was taken to a nearby hospital where she was revived. The entire ordeal can be heard in this incredible audio clip. Before I go on any further, it needs to be said that this kid is a total hero. At the time, Roman was at home with his twin brother and a younger sibling. The lad stepped up big time. Not only did he keep his cool, he managed to follow instructions and tell the dispatcher where he lives. Which is an important consideration in this story. Mobile phones are not associated with a fixed location or address, so they’re difficult to track down. As Lifehacker’s Patrick Allen pointed out just yesterday, emergency services personnel can pinpoint the nearest cell tower, but that’s often about as close as they can get when receiving a distress call from a mobile phone. Complicating matters, Roman may not have had access to a landline, which may explain why he went to the trouble of having to unlock his mother’s iPhone with her limp, unconscious finger. Many parents of young children cling to their landlines longer than they’d like to for this exact reason [raises hand]. Kids typically don’t get to have their own mobile phones until they’re a bit older than Roman, so having a landline around is just common sense. But this incident brings up yet another painful point: the act of locking our phones may work against us—and our children—in extreme circumstances such as these. The answer to this problem isn’t immediately obvious, as four-year-old kids armed with passwords can do a hell of a lot of damage when rampaging through a parent’s mobile phone. As Apple Insider notes, Apple makes it possible to contact the emergency services without unlocking the phone first, by swiping right on the lock screen and then tapping “Emergency” to unlock the pad. That’s all fine and well, but an exceptionally complex protocol for children to remember and execute when under stress. 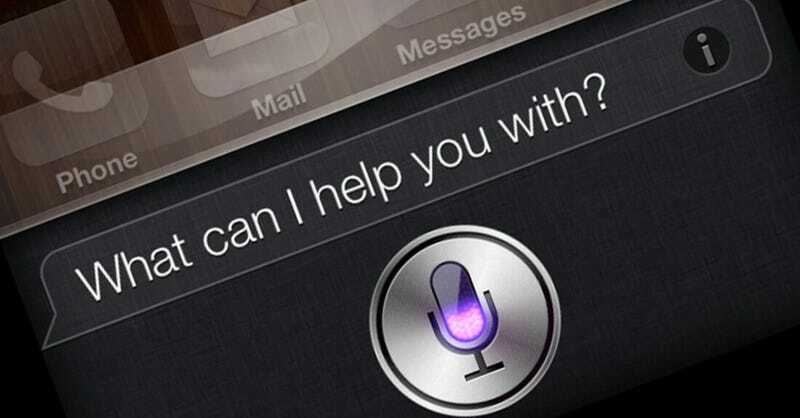 As for Siri—Apple’s voice-activated digital assistant—it worked exactly as it was supposed to. This is great example of how emerging technologies can be used to save lives.